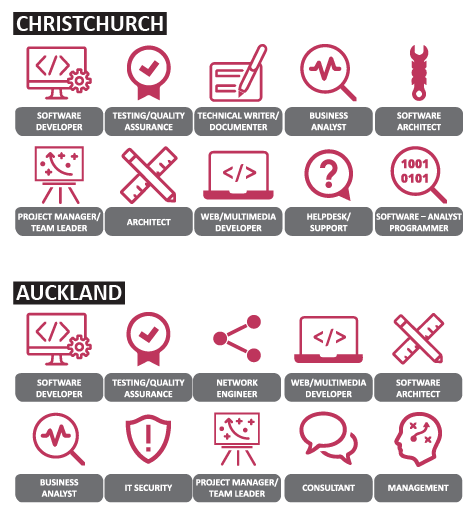 Welcome to the seventh Sourced Report – your insight into the Christchurch, and now Auckland, IT sector. The data we have collected over the course of our research allows us to provide Canterbury and Auckland technology professionals with the most up to date trends and changes occurring in your local market. overseas or drawing from the graduate talent pool isn’t always the answer to supplementing the existing workforce. 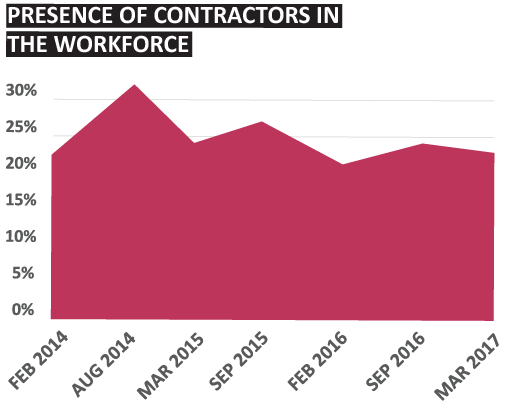 On the whole, this is great news for the IT industry as it shows companies are growing and needing more people to cover the workload, rather than job movement being focused around staff replacement. workload increases and projects continue to come online. In line with the trend we discovered in the last report, this number is continuing to normalise. 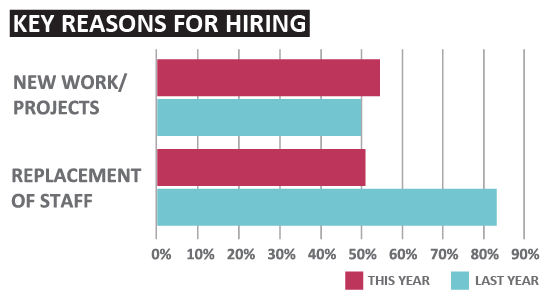 respondents were in new roles. With 13% of respondents now saying they intend to stay in their role for up to 6 months, this might indicate that candidates are taking a more realistic view of their careers. 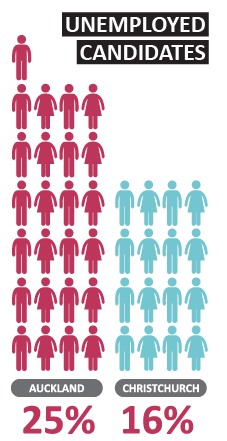 being the next most common age group (23% compared to 12% in Christchurch). The other side of this is that 25% of Auckland’s candidate respondents are unemployed, significantly higher than Christchurch’s 16%, suggesting that Auckland’s large pool of graduates and migrants isn’t necessarily the solution to the shortage many businesses are facing. around career opportunities – likely stemming from Auckland having a larger job market made up of younger professionals. small businesses. Although this can stimulate growth, the higher competition also brings a higher chance of failure along with it, so there is likely more startup churn too. However, with initiatives like EPIC and the CDC continuing to mature, we’ve been seeing that the number of small businesses in Christchurch are continuing to grow, and we expect to see the results of this in future surveys. We’d like to thank everyone who participated in 2017’s first Sourced Report. It’s always enlightening to see your responses, and also your opinions and comments, a few of which we have included below. Key areas of commentary were around the role of education in driving the IT industry, as well as the impact of flexibility and the remote workforce.